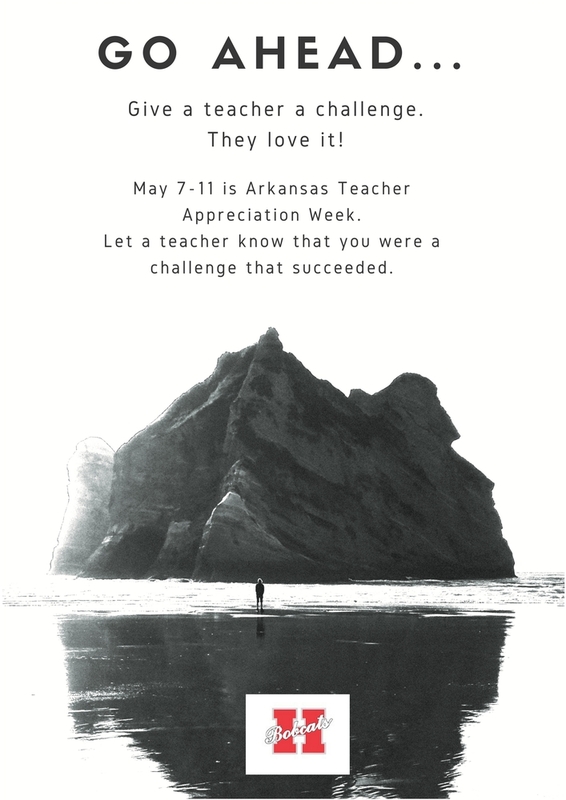 HOPE – Hope Public Schools teachers will have their moment May 7-11 as Arkansas and the Hope Public School District celebrate Teacher Appreciation Week. Superintendent Bobby Hart said the recognition is particularly deserved. Teachers will be recognized by the HPSD on each campus through the week with a luncheon provided by district administration. Yerger Middle School and Creative Action Team campus teachers will be feted on Monday; Clinton Primary School teachers on Tuesday; Beryl Henry Elementary School teachers on Wednesday; Hope High School teachers on Thursday; and, Hope Academy of Public Service teachers on Friday. McDonalds of Hope will, again, join in the celebration next week by providing any local school teacher a free drink choice May 8, which is Teacher Appreciation Day in Arkansas. School identification is required to participate, and the offer is limited to one choice of drink from the local menu. Events planned for individual campuses include special treats for teachers throughout the week at Clinton Primary School; daily surprises provided by the Parental Advisory Committee at HAPS; special luncheon for teachers at BHE; and, a special luncheon and gifts for teachers at Hope High School.